Alban Low, Bill Mudge and Kevin Acott spent a week together in the South Of France during the June heatwave of 2017. They didn’t have a plan about what they wanted to do, what they might create together. Alban slowly filled his sketchbook with vignettes of village life. Bill, suffering under the relentless sun, retreated to the night-time streets of Limoux and Cambieure, photographing the midnight cats and silent buildings. While Kevin worked on a set of short stories that had been inspired by his travels through the USA, Greenland and now France. On the 14th June 2017 they walked from the Petite Rue du Palais to the cemetery in Rue Saint-François in Limoux. It was a pilgrimage to visit the grave of Madame Mongin, a neighbour who had died the previous year. Starting at Madame Mongin’s former home they wandered through the largely deserted streets of Limoux. Slowly Alban, Bill and Kevin were separated along the sun-bleached route, eventually meeting once again at the cemetery. Although each of their experiences were different and very personal they have come together in two publications, the chapbook Reversing the Spectator and a paperbook Limoux (ISBN 978-1910578582). 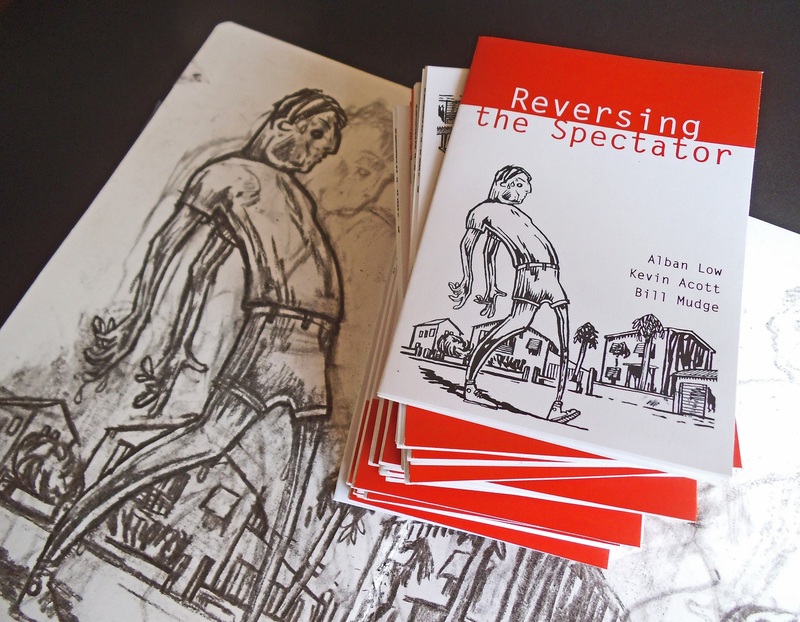 The chapbook features the brush and ink sketches of Alban Low and the words of Kevin Acott. An A6 booklet that folds out into a double sided A3 format. 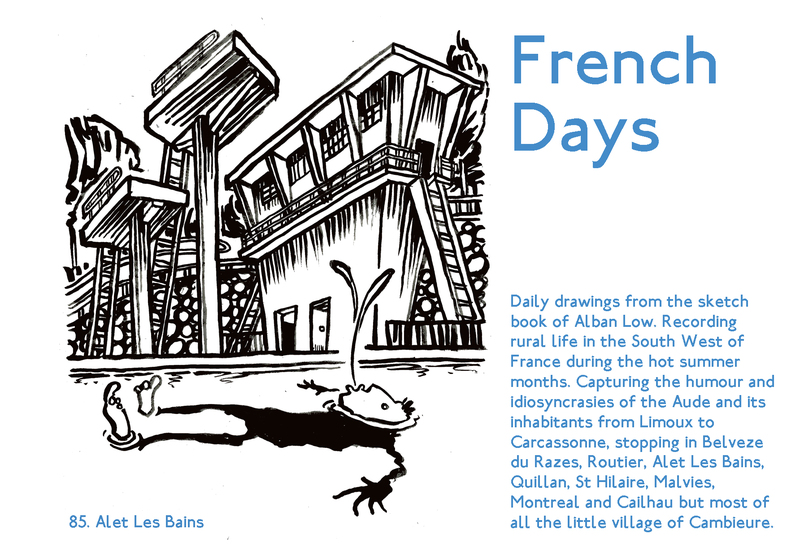 Featuring daily drawings from the sketch book of Alban Low. Recording rural life in the South West of France during the hot summer months. 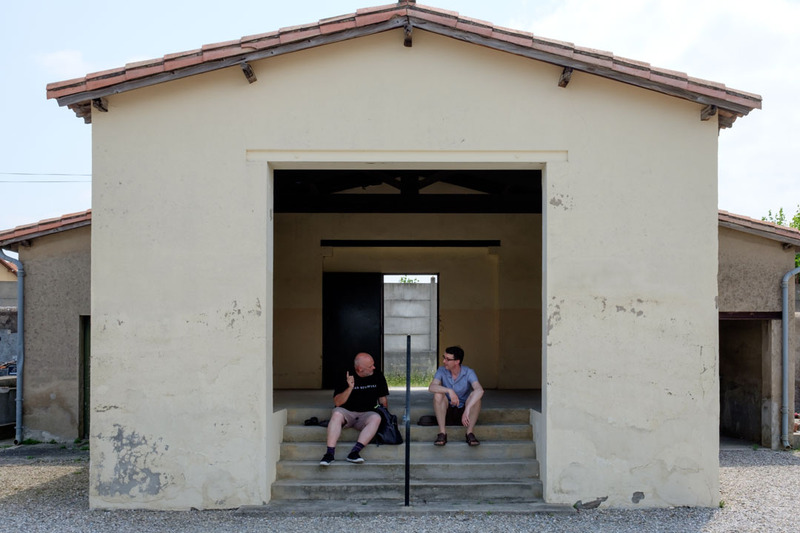 Capturing the humour and idiosyncrasies of the Aude and its inhabitants from Limoux to Carcassonne, stopping in Belveze du Razes, Routier, Alet Les Bains, Quillan, St Hilaire, Malvies, Montreal and Cailhau but most of all the little village of Cambieure. “In 1999 I packed my bags and moved to the village of Cambieure in South West France, and spent four happy years there, painting the flowers and landscape that surrounded me. Eventually the promise of a family life in England took me back to London, but every summer the lure of the South is too strong to resist. Since 2012 I have been creating a drawing each day during my time in France. The sketches are memories that try to capture the flavours and sights of everyday life. Even if you have never been to this part of France, you’re sure to recognise many of the characters and situations that enrich all our lives.” Alban Low.